I was leafing through my books a couple of days ago and the caption on one of the pages grabbed my eye. Simulated seed stitch. 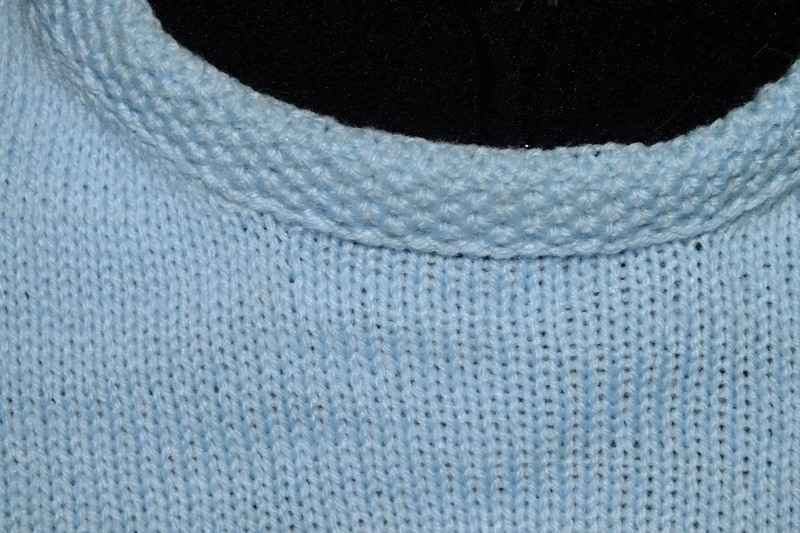 I love the seed stitch in knitting so I had to try it.And….. I love the look of it knitted on the passap machine. 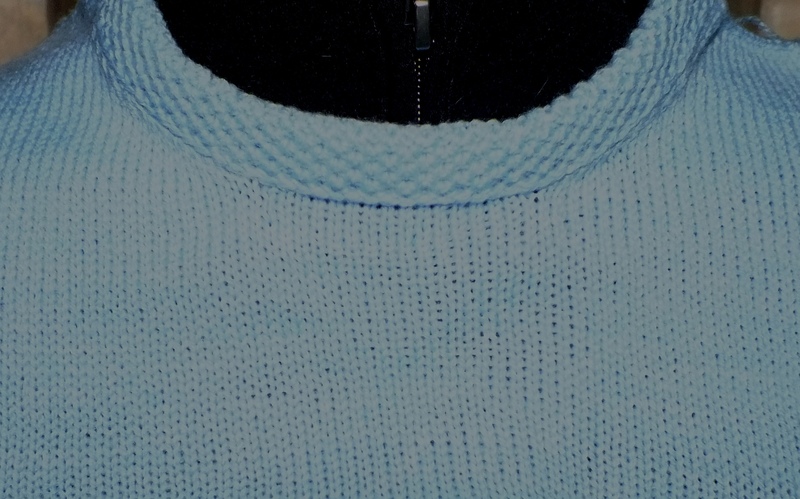 In fact, I liked it so much that I knitted up a little front of a sweater (not cut and sew mind you. lol) and attached the band. In their directions they have an option to chain cast on after you hang the first side of the band. You chain cast on and push it behind the latches before hanging the second side of the band and hand knitting the stitches through. You MUST try this. It is so pretty and very easy to do. The book is Going Places Knitting Technique Passap designs by Jan Wold and Jan Mills. You can see how to do this in my drop box. Thanks for sharing. I really would love to try this too. Thanks for all the tips.